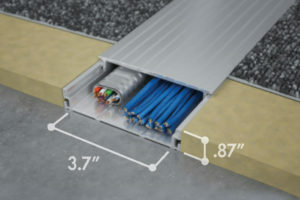 Omni Tech Spaces offers custom and packaged cable raceway/wireway solutions from Connectrac. We offer under-carpet raceway, in-carpet raceway, and on-floor raceway. 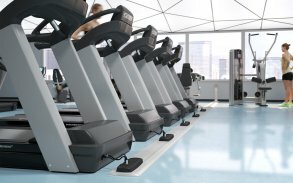 We design and install custom raceway systems for every space. 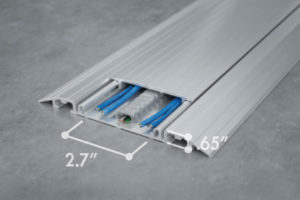 Our raceway cable management solutions are affordable and look great. 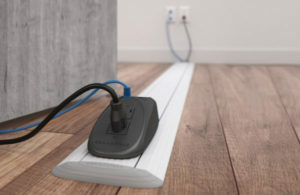 Our Under-Carpet Raceway solution is a great way to safely conceal power and data lines directly underneath any carpet tile. The final product is virtually invisible. 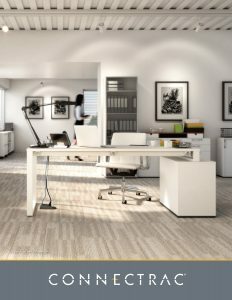 In-Carpet raceway is an elegant power and data raceway solution that integrates with any carpeted space. 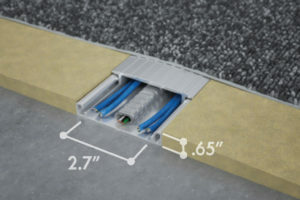 This solution has a removable top cap for easy access to cables or to add more cables. 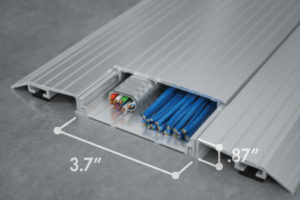 Our On-Floor raceway solution can be installed on top of any floor, offers high capacity for data, audio/video, and power cables. 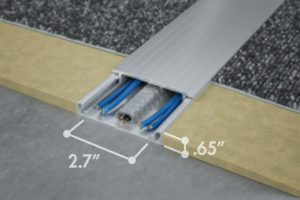 The Connectrac GO Wireway is so easy to use, you can install it yourself! 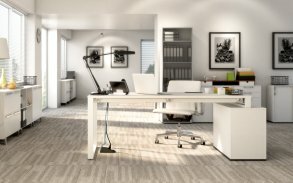 The top pops off allowing you to run data cables and it comes with two power outlets that you simply plug into an existing outlet to extend power wherever you need it. The GO Wireway is portable so you can take it from room to room as needed - perfect for events! to see our full selection of raceway solutions.